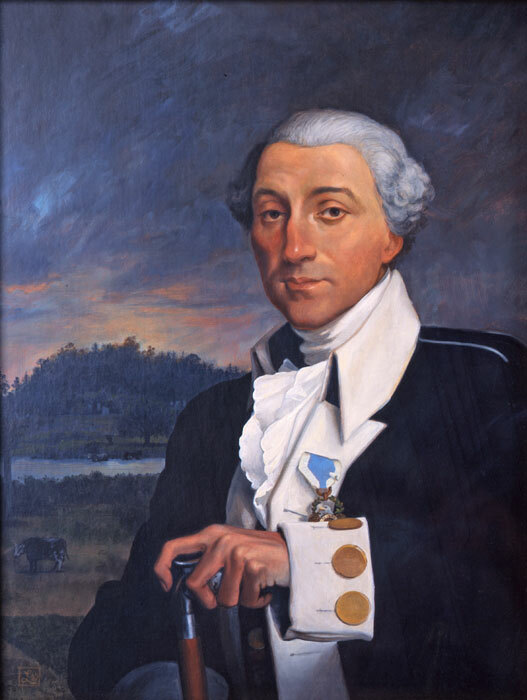 Born in France, L’Enfant came to the United States with Major General Lafayette as a military engineer in the service of the American Revolution. After the war, he designed in 1791 the street plan of the “Federal City in the United States,” subsequently named Washington, D.C. In addition to laying out the United States capital city—establishing its famous wheel-and-spoke pattern that exists to this day— L’Enfant redesigned New York’s Federal Hall and produced designs for houses, coins, medals, and furniture.